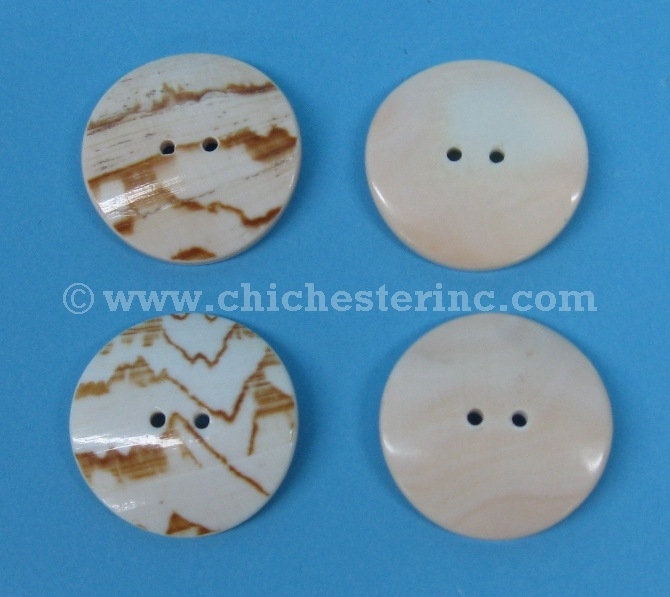 The fresh water clam shell buttons have two holes and various degrees of curvature. Please note that sizes 1", 1.5", and 2" are pinkish in tone and slightly curved. 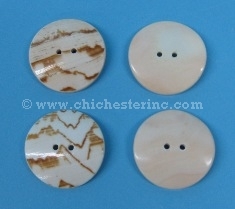 The 2.5" buttons are white and flat and have smaller holes. Genus and species: Hyriopsis schlegeli. Wild. These clams are not endangered. The shells are a by-product of the pearl industry. For other clam shell products, click HERE.